Looks amazingly beautiful in B&W! Stunning! You have the best eye. Beautiful! The angles of the building perfectly set off the delicacy of the plumes. I'm assuming that's a type of grass. They look different in b/w. 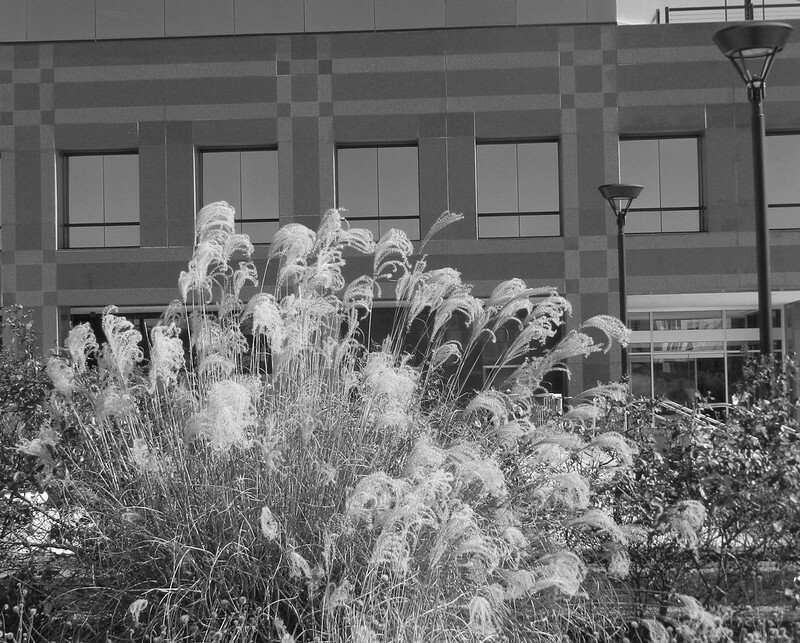 The grass look impressive in B&W. Lovely plumes blowing in the breeze ~ great BW shot! I like the contrast of the jagged plumes against the smooth walls of the building. Oooh, looks like a Chihuly glass sculpture! Really awesome photo!